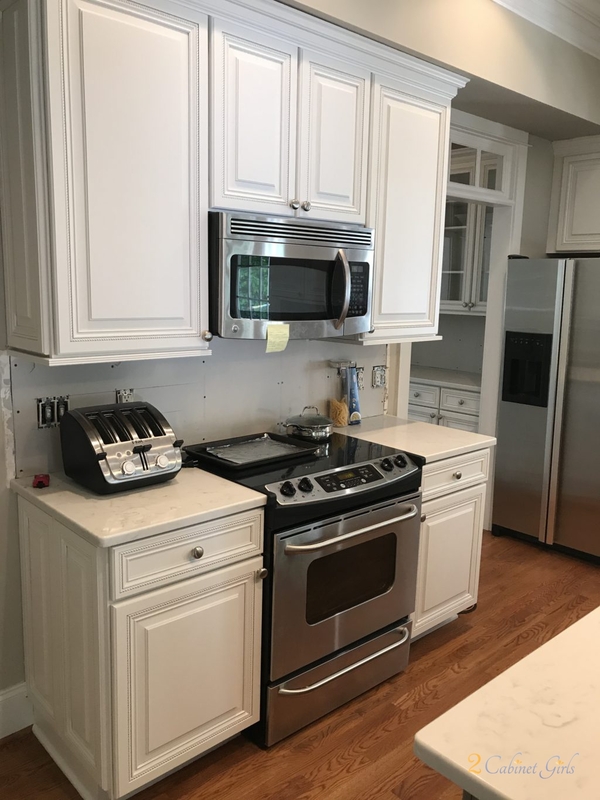 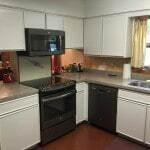 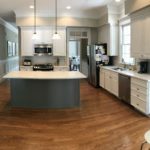 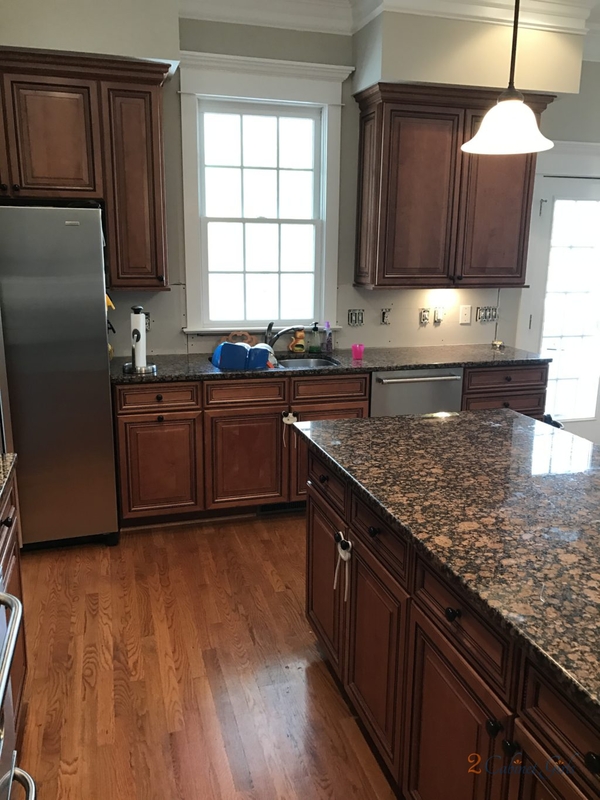 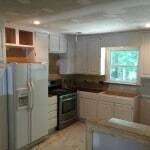 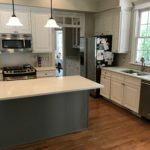 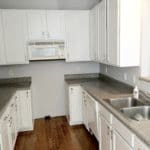 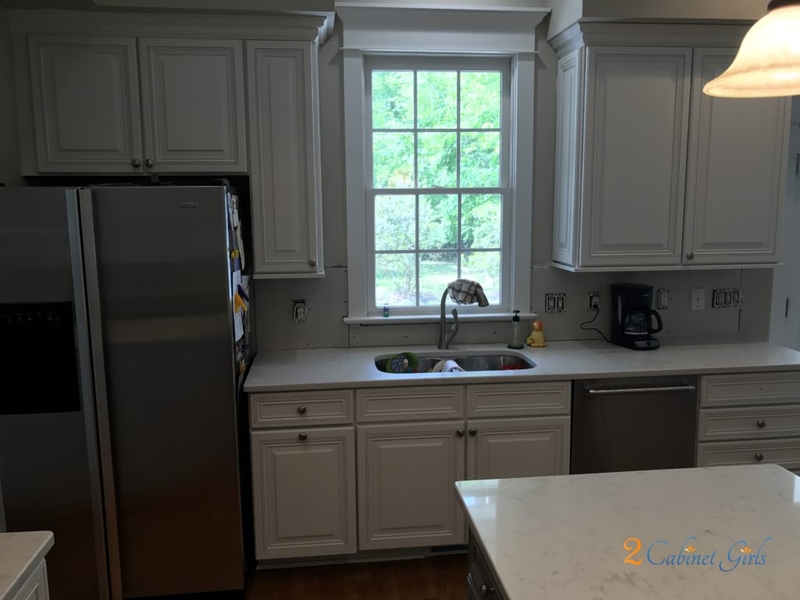 Our homeowner was ready for a major kitchen overhaul. 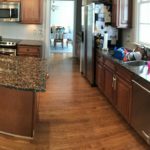 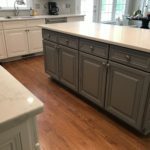 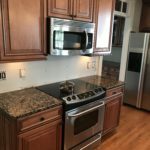 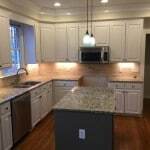 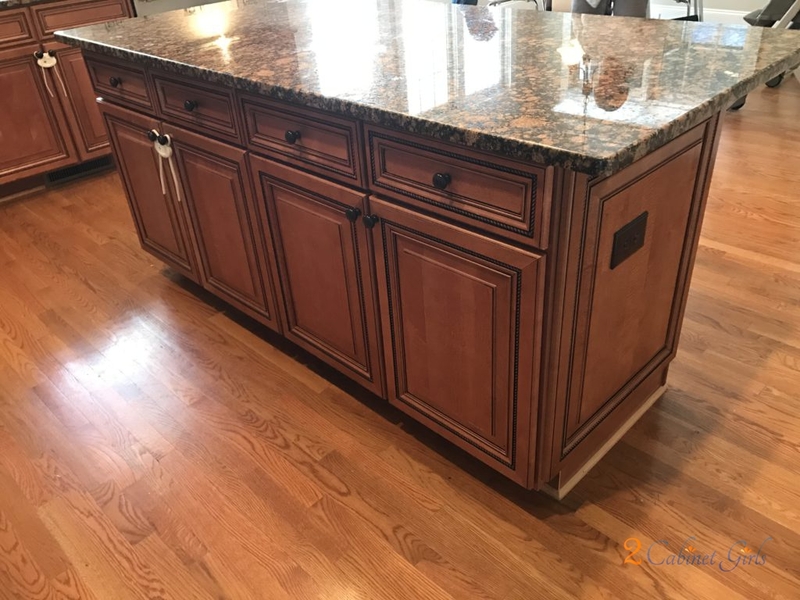 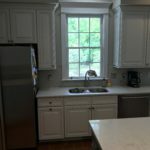 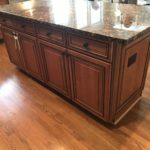 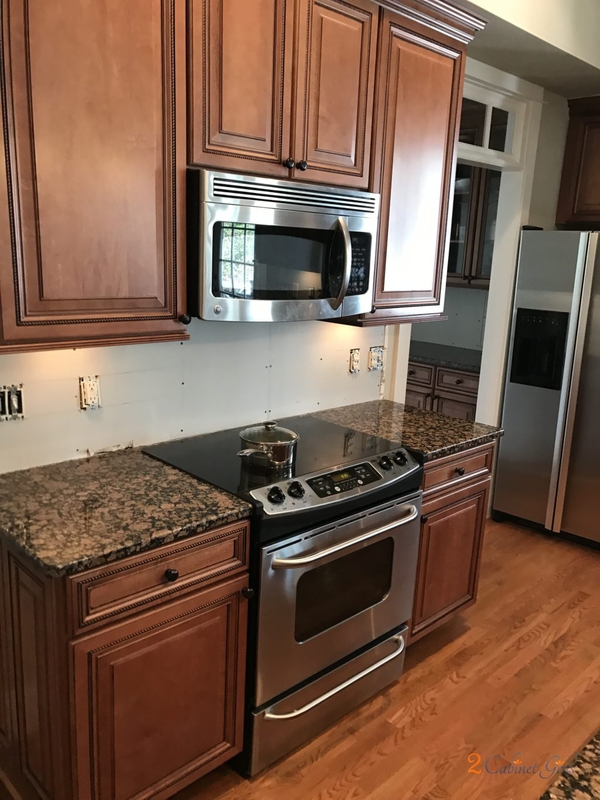 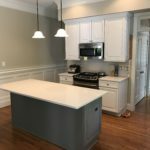 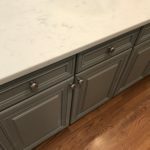 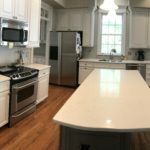 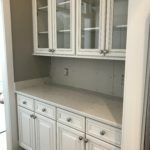 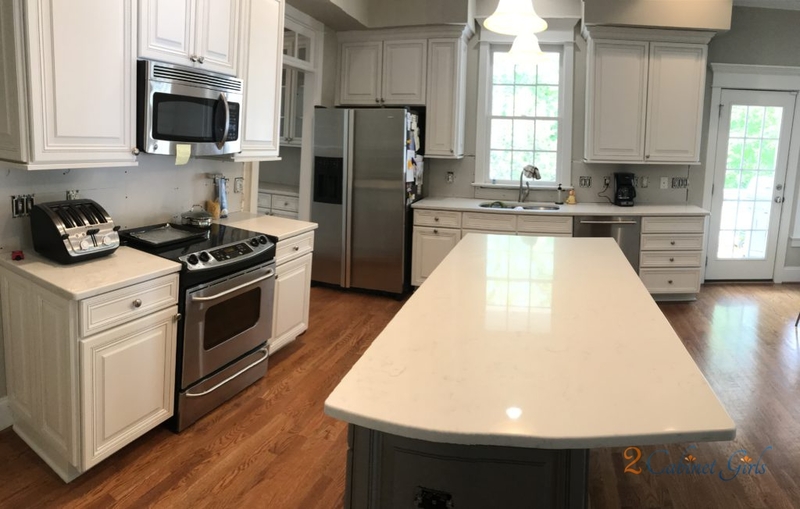 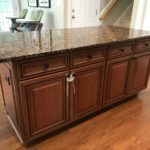 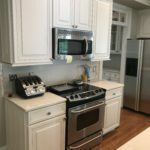 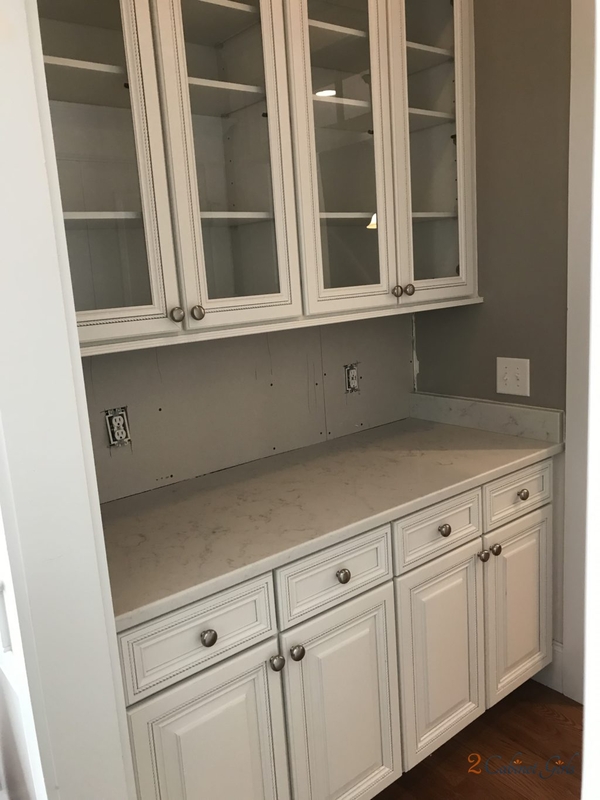 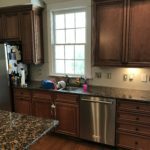 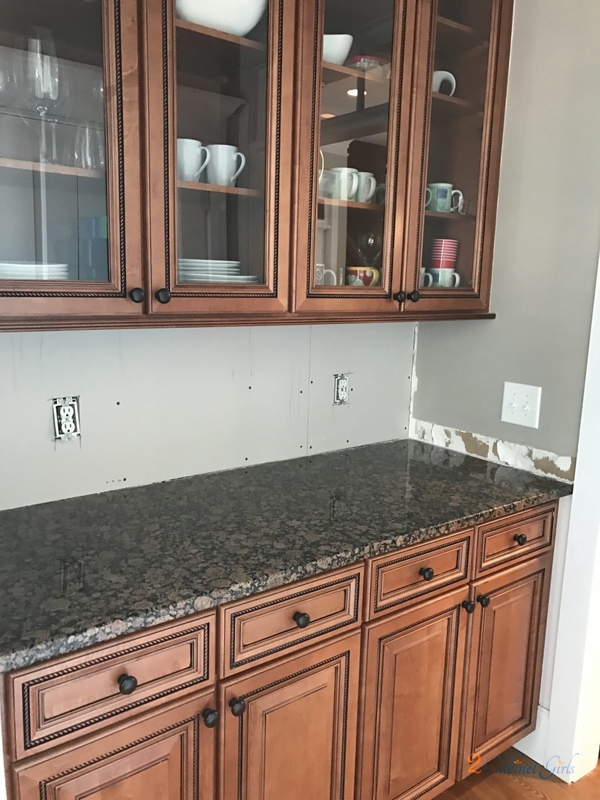 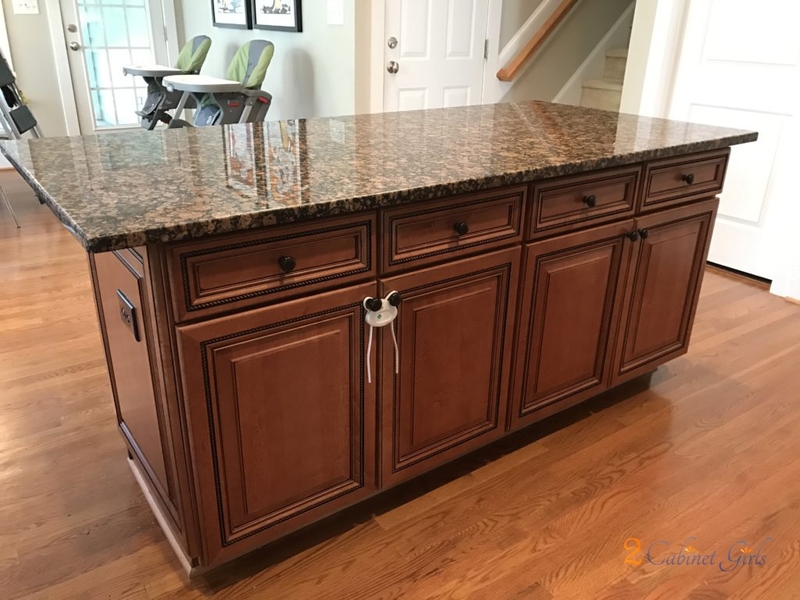 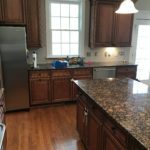 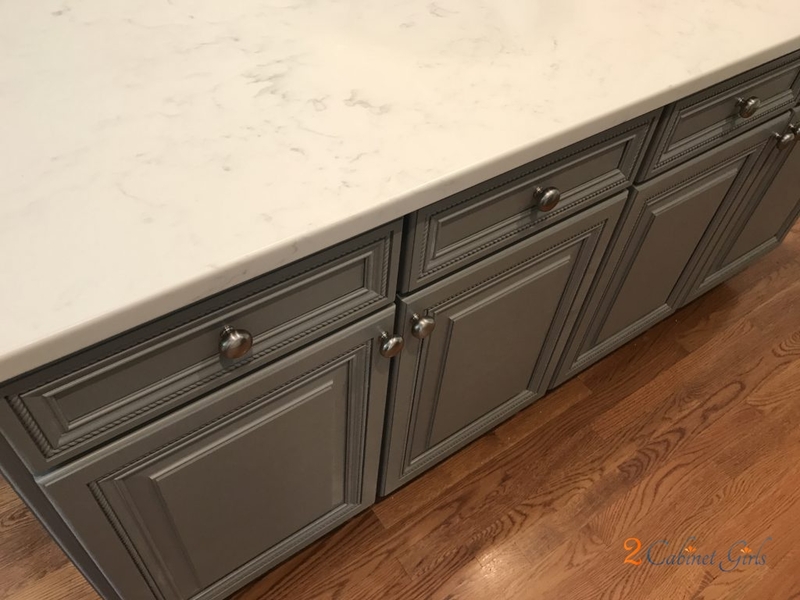 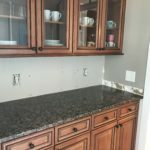 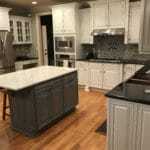 No more traditional cabinets, backsplash and counters. 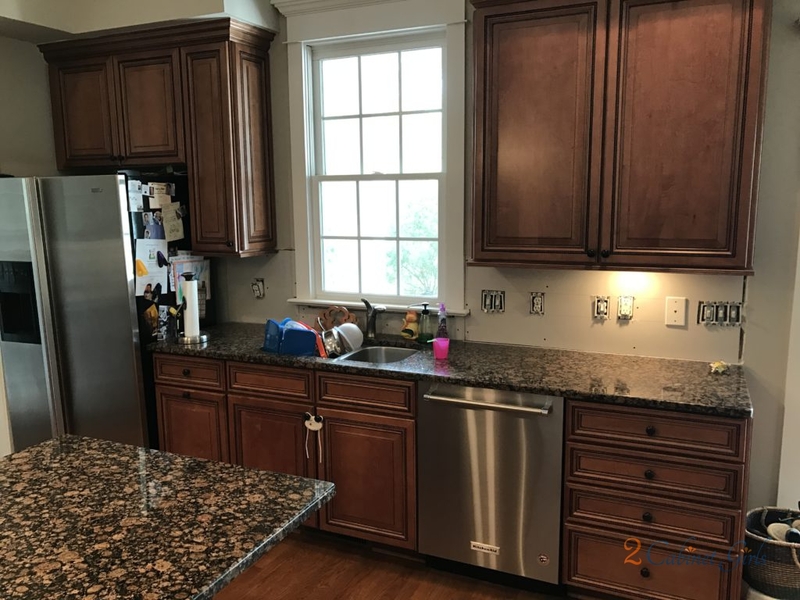 Her vision for lightening things up? 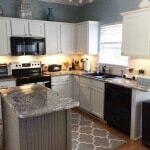 White cabinets, white counters, and a soft gray backsplash. 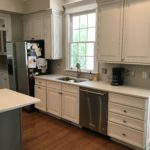 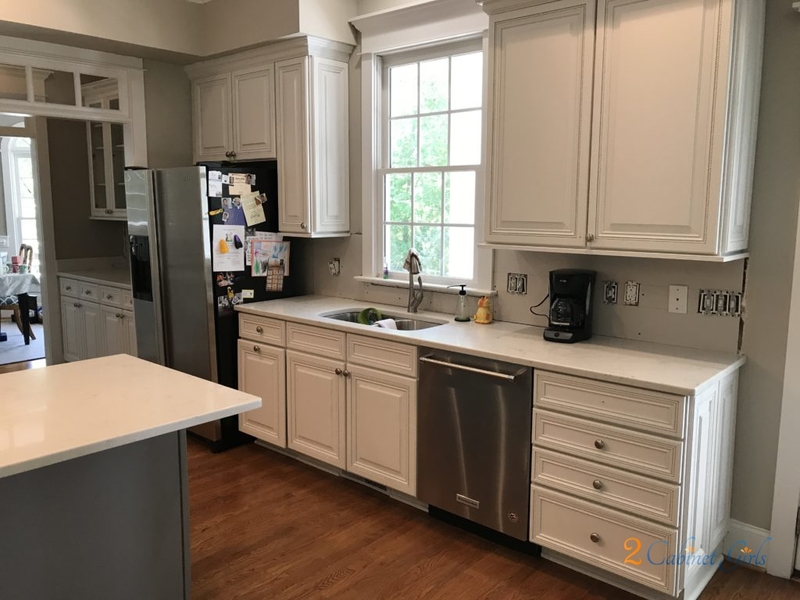 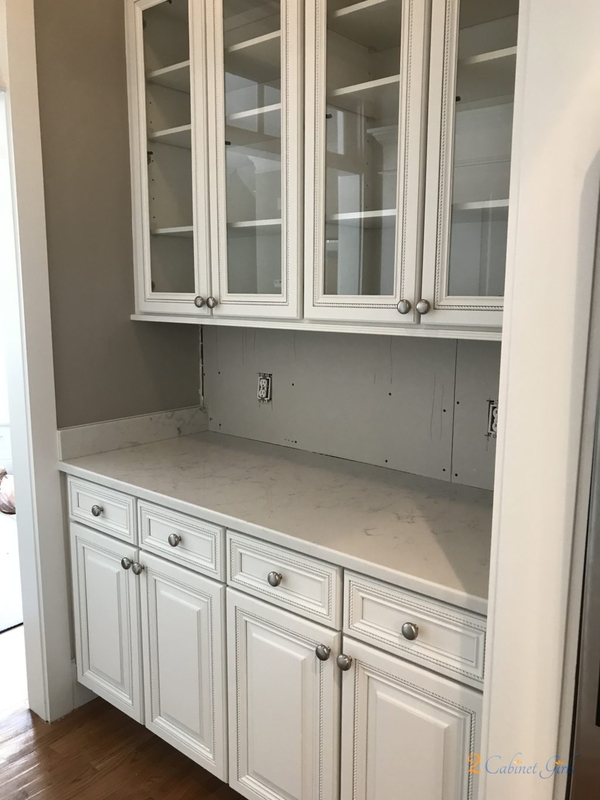 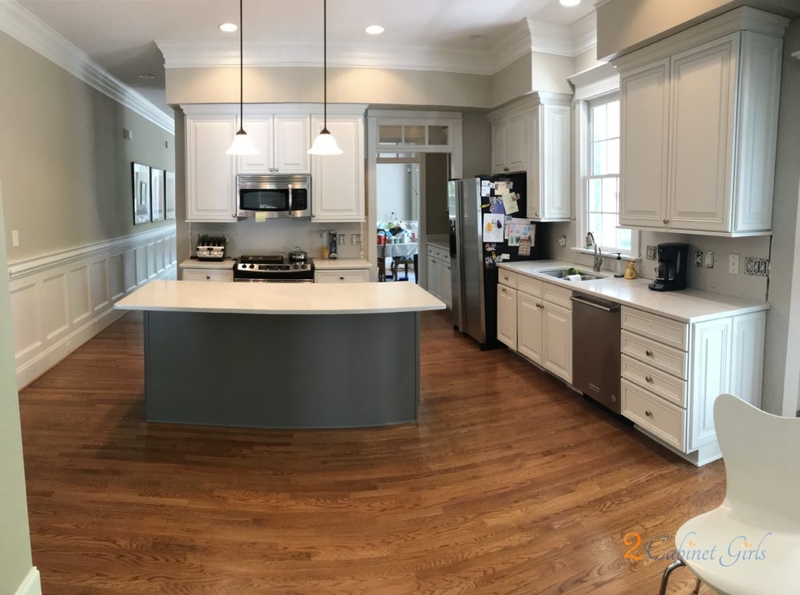 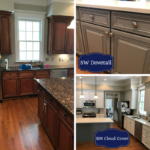 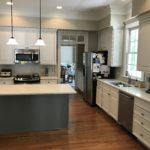 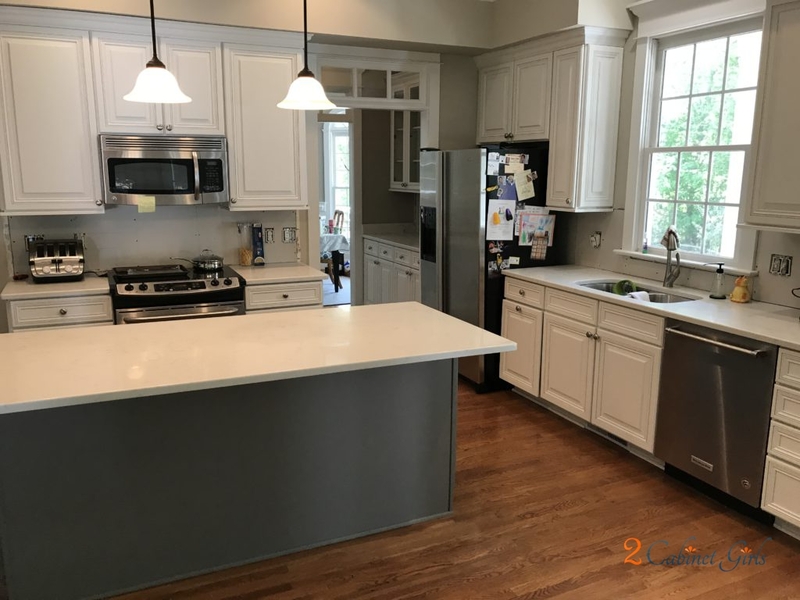 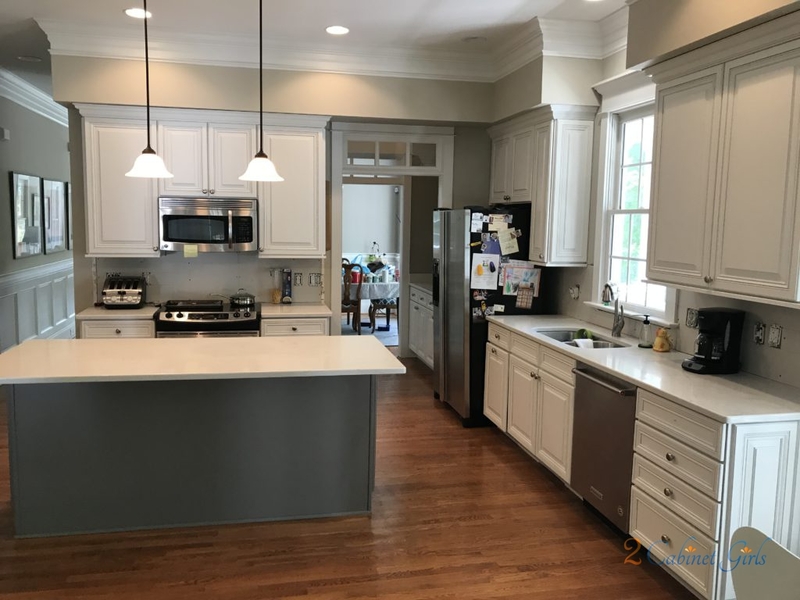 We helped her achieve her vision by painting the perimeter cabinets with Benjamin Moore Cloud Cover. 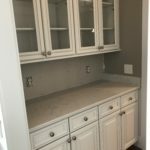 It’s a soft white with gray undertones. 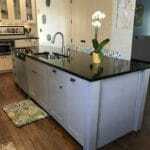 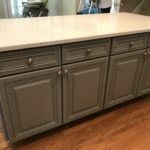 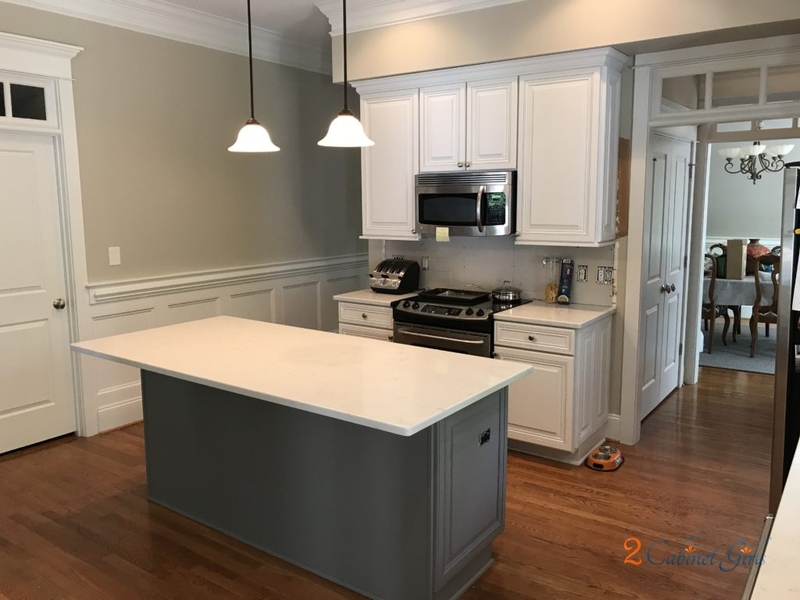 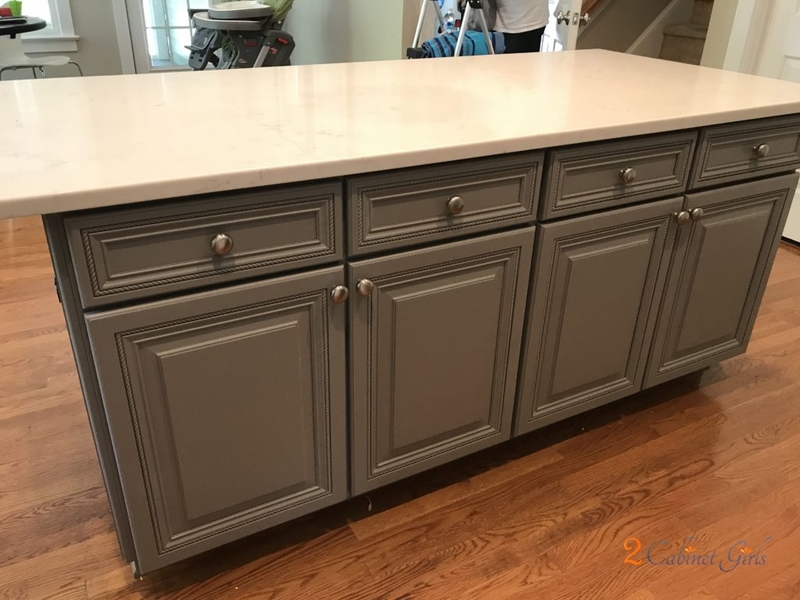 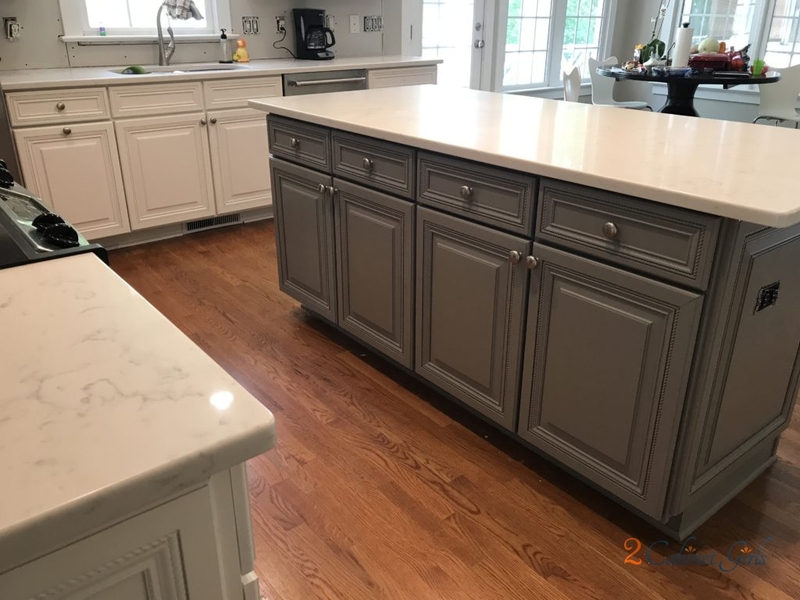 The island feels more anchored now, with Sherwin Williams Dovetail – a taupe-ish gray. 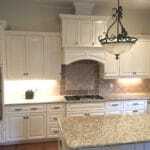 Painting helped the braiding detail on the panels recede a bit into the background too.